The crisis gripping Poland’s coal sector is years-in-the-making. As the government continues to struggle with just how to address the desperate state of mining giant Kompania Weglowa, the UN climate summit in Paris is on the horizon. The publicly owned Weglowa, which supplies coal to about 60% of Poland’s power stations, is the largest coal mining company in all of Europe. But its gradual decline has accelerated these past couple of years and plunged the company, the industry and the economy into crisis. The Polish government had hoped to bail out the loss-making miner, but the European Commission signalled that it would investigate any support — and likely find it in breach of a law banning state aid for mines due to close before of 2019. Now Poland is exploring the option of having state-owned utilities and energy companies bail out Weglowa for them. The current crisis can be traced all the way back to the arrival of democracy in Poland in 1989, and the profound economic upheavals that followed Russia’s diminished role in the region. 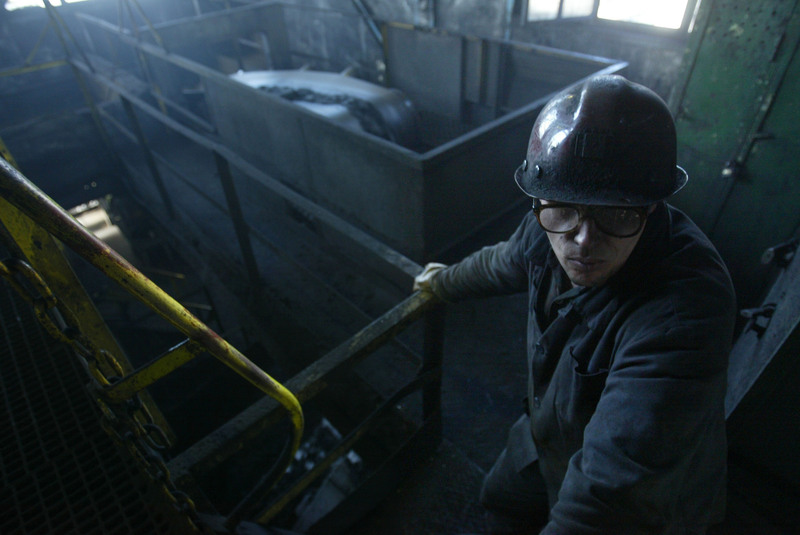 The coal sector has lost more than 330,000 jobs since then. Production has plummeted from its 1979 peak of over 200 million tonnes to just 140 million in 2013. And in the past decade there have been a series of restructurings, closures and privatisations. Coal-fired electricity in Poland has fallen (marginally) to 90% today, and the much of country’s fleet of power plants is well into old age — 70% are over 30 years old, and 40% are over 40. While climate change concern and an energy revolution have swept across Europe, Poland’s political leaders have remained wedded to the technologies of the 20th century. Successive governments have done little to promote energy efficiency, wind or solar power. Instead they propose new coal plants, and hype up the prospect of Carbon Capture and Storage (CCS). This approach has prevented Poland from effectively tackling its horrendous air pollution problem, the worst in all of the EU. But the mining business has been hit worst of all. The cost of extracting coal from deep underground mines has become much more expensive; exports have collapsed while imports of cheaper coal from Russia, the Czech Republic and Ukraine have gone way up; demand has flattened out as consumers have bought more energy efficient appliances. High global coal prices and strong demand during the recent boom times masked the looming crisis for the industry and for Kompania Weglowa in particular. European coal demand has slowed in recent years and the global oversupply has eroded the price of coal in the export market. In 2014 alone, Kompania Weglowa racked up losses of $670 million. So, in January of this year, the Polish government went ahead and tried to formulate a plan to manage Weglowa’s collapse. It proposed closing 4 out of 14 mines – which at the time accounted for 6.5 million tonnes of coal – but that meant more than 10,000 layoffs. With the election later that year, and the powerful unions launching enormous actions, the government caved and resolved to keep them all open. But since then Kompania Weglowa’s finances have gotten even worse. Coal prices have fallen further and are now nudging down towards $50 a tonne. And yet the upcoming election has the two largest political parties battling over who is more pro-coal. In many ways the crisis engulfing Kompania Weglowa is symptomatic of how the Polish Government has become prisoner of the coal industry. While renewables are booming elsewhere in Europe, Deputy Economy Minister Jerzy Pietrewicz has vowed that existing coal plants will just be made more efficient — the World Coal Association approves. There are even substantial doubts over whether the upgraded plants would be financially viable or able to meet EU pollution control standards. Instead of pursuing the lowest cost options – from a financial, public health and climate perspective – of efficiency and renewables, the government prefers coal. It simply delays the day of reckoning. A little over a month after the election, it is likely a new right-wing Polish government will front up to the climate negotiations in Paris and once more be the darling of the coal lobby. Officials will extol the virtues of the coal economy while the mining sector back home stands on the brink of bankruptcy and demands hundreds of millions of dollars in subsidies. This is an edited version of a piece published on EndCoal.org. The original can be read here.